UNIQUE plans have been revealed to regenerate Bognor Regis with a mini-Crystal Palace. The town’s civic society has unveiled a scheme for an all-year multi-use entertainment centre, pictured right. Dubbed The Bognor Regis Pavilion, it is a geodesic dome – similar to those at the Eden Project in Cornwall. 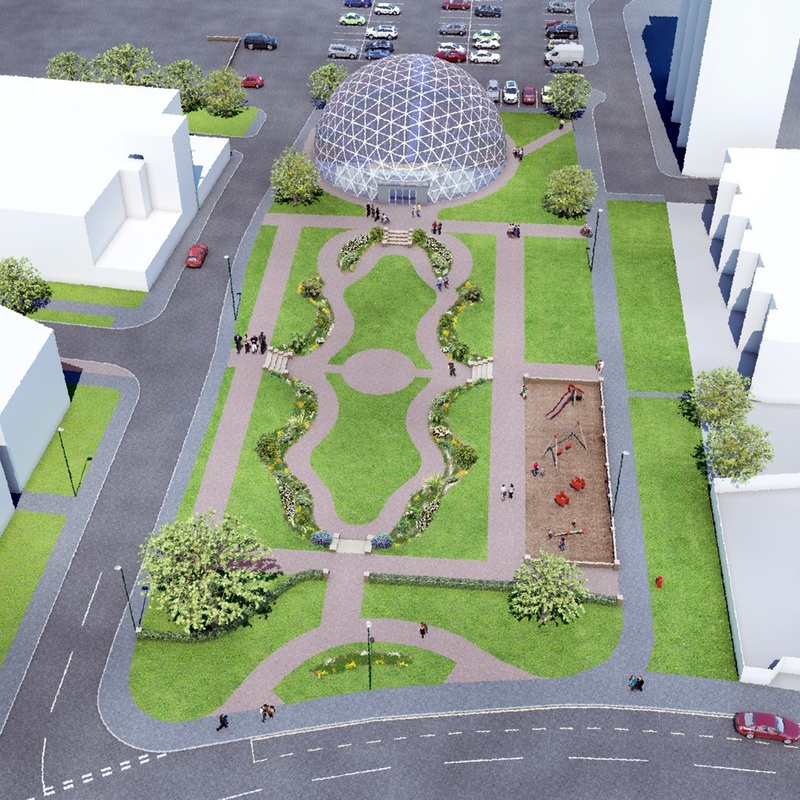 The 25m diameter double glazed glass structure would be capable of hosting an ice rink in the winter and a host of other functions in the summer to boost the town’s profile and economy. It would create a landmark with an eye-catching design on the Hothamton children’s play area next to the car park at a basic cost of £1.4m plus VAT. Hugh Coster, the civic society’s deputy chairman, said: “The people of the town have consistently said in all the consultations and surveys they want a permanent ice rink. We saw the temporary ice rink for the past two Christmases being a huge success. We felt this was a very clear message from people. “An ice rink would only be viable for a couple of months of the year but we thought a landmark building with outstanding architecture which could be used all year for a range of functions was the answer. “The closer it is to the town centre the stronger the regeneration benefit. Some 75 people crowded into the Regis Centre’s meeting room on Wednesday to find out about the idea. They unanimously supported it, except for a councillor with a planning role. The same result, with one abstention, was given for the location. The idea followed the civic society’s 2,479-name petition last year which called for an ice rink. Arun District Council said an ice stadium could be sited only on the outskirts of the town. But civic society member Tony Dixon said a rink, capable of hosting up to 100 skaters a time, would be suitable. The dome would be 9.5m high and measure 314sq m on a concrete base with the ice on top in the winter and flooring in the summer. Without the rink, it could accommodate 304 seats. “This is a concept at the moment,” he said. “This is coming from the community and we want input from the community. Funding would be sought from a range of sources. These included the Coast to Capital local economic partnership and various councils. Talks will also start with the landowner, Arun District Council. Those present at the meeting reacted favourably. Steve Goodheart said it had the potential to give the town the wow factor. The play area will be moved elsewhere in the Sunken Garden.